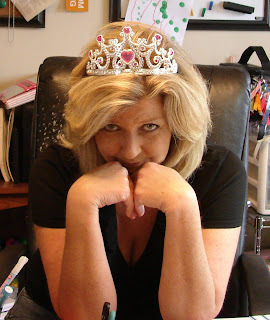 I've been demanding to be called Your Highness around here...it's not really working out for me! Thank you for making the Queen of Crap, ya'll are the best! Hello Your Highness! Enjoy your reign! Are you practicing your royal wave? Long live the Queen! LOL HRH Lisa! all bow. I am a GIT R done gal too! congrats. Congratulations...can't wait to see what you come up with! HRH Lisa...LOL. Congrats Lisa, you deserve it! Thank you all for your sweet comments! I am loving this whole Queen business!